Dinner – Prime Rib & Pork Roast dinner catered by Greene Square. Prizes – Assorted golf prizes for 1st, 2nd and 3rd place finishing teams. Spots will sell out! Register your team today! 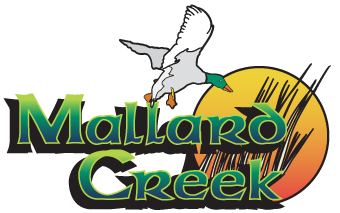 Since 1992, Mallard Creek Golf Club has served as Northeast Ohio’s premier outing host. With 36-holes, 5 pavilions, ample patio space, a 30 stall driving range and the largest golf cart fleet in the state, we are happy to accommodate groups of any size. Whether you are hoping to raise money for a charity, planning a work outing, putting together a family reunion or something else, we are happy to help and guide you through the process from start to finish.